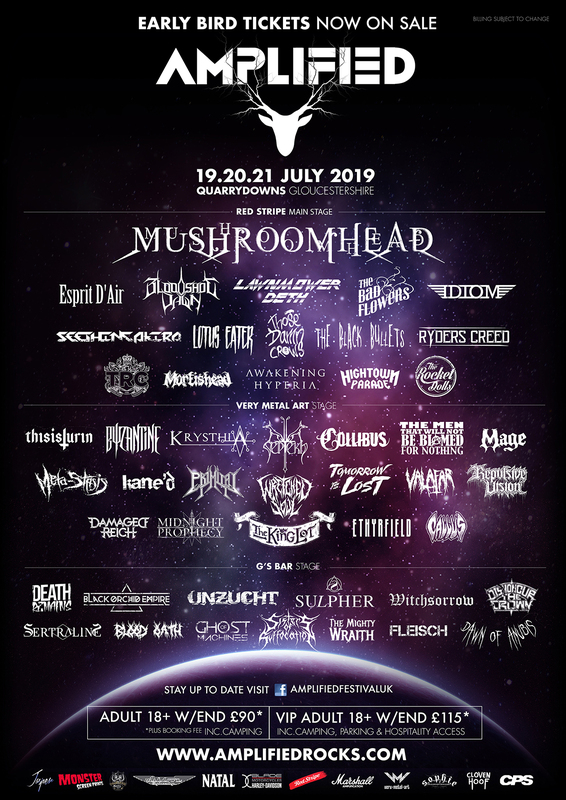 If you missed the news last week, we are really excited to announce that we will be playing Amplified Open Air Festival 2019! "THE ROCK, METAL AND ALTERNATIVE MUSIC FESTIVAL SITUATED AMONG THE ROLLING COTSWOLD HILLS. SHOWCASING THE MOST EXCITING UP-AND-COMING ACTS ALONGSIDE ESTABLISHED CHART TOPPING BANDS FROM AROUND THE WORLD."